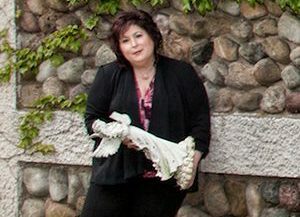 As New Jersey’s foremost Psychic Medium I communicate with your heavenly family, friends, pets & Angels to deliver detailed insightful messages to help you with all aspects of your life. 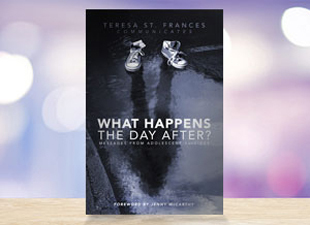 What Happens the Day After is more than just a suicide prevention book. The heavenly adolescents who share their experiences tell us how to live the life that we love with Heavenly Help. As the premier Animal Communicator of NJ I have a unique way of talking with your animals. Our conversations involve health, food, home, loves, behavioral issues and their life. 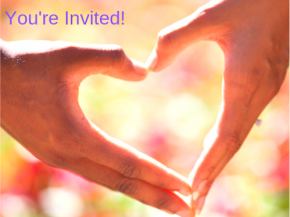 Join internationally renowned Spiritual Messenger and Author, Teresa St. Frances, at her regular forum events, News From the Afterlife featuring your Family, Friends & Pets held in Saddle Brook, NJ. I am a Psychic Medium on a mission to help save lives. I know what it feels like to be different and face challenges and obstacles that make you not want to be alive. Let me help you thrive. Meditation is an incredibly helpful tool for mindfulness. Choose the meditation that’s best for your wellness goals from Teresa’s White Light Meditation, Angel Meditation, and Pet Meditation. What should you look for in a Psychic Medium? 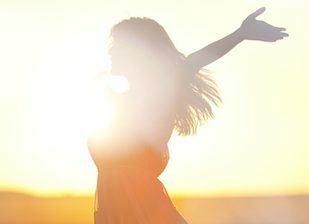 If you’re looking for a psychic medium in NJ, you want to find someone who can talk with the afterlife, who you feel is authentic and who has the spiritual gifts to help you connect with your family, friends and pets in the afterlife. Your medium should be able to deliver a reading that includes valuable insights about your life such as: health, love, family, career, money and about your past, present and future. An office not a storefront. Having all of these things indicates that the medium takes his/her work very seriously and has spent time cultivating their gifts. There are mediums that do not know how to compassionately or accurately deliver messages from the afterlife. Sometimes their connection with the Heavens is not in question, but it is they way they deliver and misinterpret some of the signs, therefore giving inaccurate information. These types of readings may leave the client upset and frightened. I have helped these clients find peace, closure and healing. How important is it that you pick someone with professional experience for a psychic reading in NJ? As a Professional psychic medium in NJ for 35 years, I have been called by the Heavens to help people by delivering psychic readings. It is extremely important that people get to see firsthand the authentic work that I do. That is why I host a monthly public gallery event in addition to other events. You witness the audience reactions to the information thereby giving you the opportunity to experience the accuracy of the information being delivered. This helps you evaluate the quality of my connection and the detailed specific information that you will be receiving in a reading. It is very important to me that I use my experience, knowledge, wisdom and unique gifts to give you the best factual reading thereby helping you live the life that you love so you can thrive. Picking a medium who does public and private psychic readings, has full time dedication, has a professional website with testimonials as well as a social media presence with a following should be a must. An additional plus would be a psychic medium who has written a book and who was referred to you from a friend. What should you tell a Psychic Medium? When you are in a psychic reading with a medium you should not tell them any important or pertinent information. I always tell me clients not to tell me anything. I want to tell what I am being given. This way anything I tell you is completely genuine. I also encourage them to ask questions to make sure that they understand the depth of the information given. What are the differences between Mediums? There are genuine psychic mediums who have what I have previously discussed and have given you their rate for their reading so you know in advance what you are financially responsible for. Then there are gypsies who will do a Psychic Reading for $10.00 and tell you things that make you feel scared such as there is a curse on you or a family member or you have a dark cloud over you. All of this and much more create a scenario, which causes you to be scared. They play on your fears and insecurities, which allows them to get you to return time and time again giving them thousands of dollars over time to elevate your fears. Why would you want your pet to talk to an Animal Communicator? As an animal communicator pet whisperer, I often find that people’s pets have behavioral, health, diet or family issues. I can speak with them to find out their story and help them get the help that they need. If you want to know what is bothering your furry family member or why they are having issues, talking with an animal communicator in NJ like me often gets to the root of the problem. I often find as an animal communicator there are concerns that your pets have that you have no idea are bothering your pet. Resolving these issues makes for a happy healthier pet. What does your furry family member tell an animal communicator? 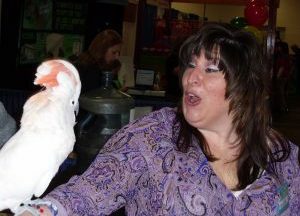 As an animal communicator in NJ I have a two-way communication with your pet. Most pets are surprised that they can communicate with a human. We discuss diet, behavior, likes, dislikes, loves, food, the home and other family members. They are very honest and tell me everything.